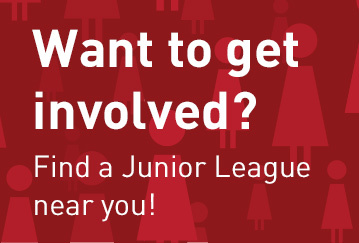 The Junior League has had a trail-blazing legacy in environmental advocacy. Over the years, work by various Leagues has called attention to ecological hazards that threatened the livelihood of a community or the health of its inhabitants. The collective power and enduring impact of a group of women united behind a single cause can be best illustrated in the documentary film “Fate of a River: Apathy or Action,” which was produced by the Junior League of Toledo in 1965. Carol Bentley, who worked in partnership with the League on the film, wound up testifying at the state and federal hearings on water quality that would lead to the development and passage by Congress of the Clean Water Act in 1972. Beyond that ground-breaking legislation, there were many other results of the League’s work that have had lasting effects on communities across the United States. What Happened After Katrina Was No Longer Front Page News? The Junior League of New Orleans steps into its city’s vacuum of leadership post-Katrina to spearhead its city’s recovery with the Get on Board program, which trains women to serve on the boards of the nonprofits that are leading the post-Katrina recovery effort. In the aftermath of the BP oil spill in 2010, Casi Callaway rallied other members of The Junior League of Mobile to support the protection of Mobile Bay and its coastal communities. A nine-year campaign to raise awareness for the importance of recycling results in a national law mandating the sorting and separation of recyclables prior to garbage collection. Five years after it was established to gain attention and funding from legislators in Washington after Hurricane Katrina, Women of the Storm expands its scope to assist in the recovery of the entire Gulf Coast following the BP’s Deepwater Horizon oil spill.